PRAGUE, July 19, 2017 – AVA Spa at Four Seasons Hotel Prague presents exclusive products from the Bioxidea cosmetic house, the creator of renowned facial masks that stars like Mandy Moore rely on to give their skin a special glow. With more than 5 million masks sold worldwide, Bioxidea has sparked worldwide interest and moved the trends of the cosmetic world. Models Daniela Botero, Lauren Layne, actor John Stamos and singer/actress Mandy Moore are just a few of the enthusiastic Bioxidea customers who have filled social networks with their selfies using the products. Every day more than 2,000 #BIOXIDEA selfies appear on Instagram, Facebook, Twitter and other social media sites. The face behind the brand is Mathieu Antos, whose extensive career spans the medical, entertainment and fashion industries. But it was in beauty where he found his true calling and Bioxidea was founded. “Bioxidea is attention to detail, remembering to take time for yourself, indulging in a mask or that little something every once in a while. Bioxidea is a state of mind, a way of life. La beauté est un art,” Antos said. “I don’t know about you, but after a long travel experience or a few days on the road, my skin can start to look and feel beat-up and dehydrated. 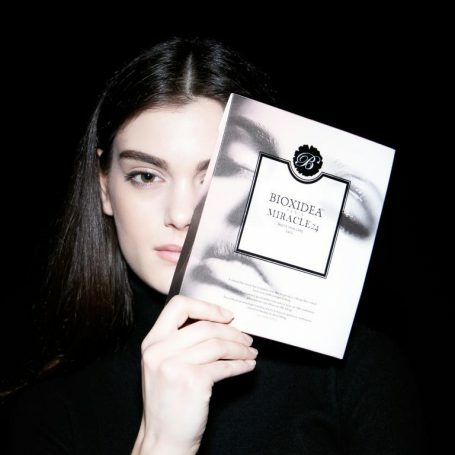 Enter: Bioxidea Miracle 24 masks. After sitting with it on for just 20 minutes, the results (revitalized, toned, and tightened skin!) are always pretty immediate and can last up to 24 hours,” said Mandy Moore, American singer-songwriter and actress. The French beauty brand Bioxidea’s philosophy is based on combining advanced skincare technology with powerful natural bioactive ingredients. Bioxidea biocellulose is four times stronger than ordinary cellulose and holds up to 100 times its weight in moisture, thereby maximising moisture absorption into the skin. Applying the face mask in the bath, it can be plunged into water and then applied on the body. Bioxidea products deliver long-lasting effects by breaking the boundaries between science and innovation. All Bioxidea skincare collections are free from six of the most common harsh chemicals used in cosmetics. For AVA Spa reservations please contact (+420) 221 427 830, email: spa.prague@fourseasons.com.